Vintage Jammy's productions licensed from the King by Roots Youths' Kullar. Johnny O revisits his Techniques classic while Castell intones across the rhythm previously used for Freddie McKay's I Man. Vinny Kullar has sourced some Prince Jammy's treasures featuring some of the greats of Jamaica's storied musical past. 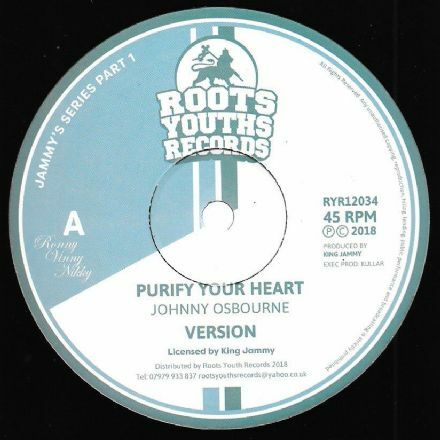 With trademark melodic sweetness, Johnny Osbourne steps forward with 'Purify Your Heart.' Melody!! The melancholic tones of the late Lacksley Castell with 'Princess Lady' cater to the ones who love the depth in the music.